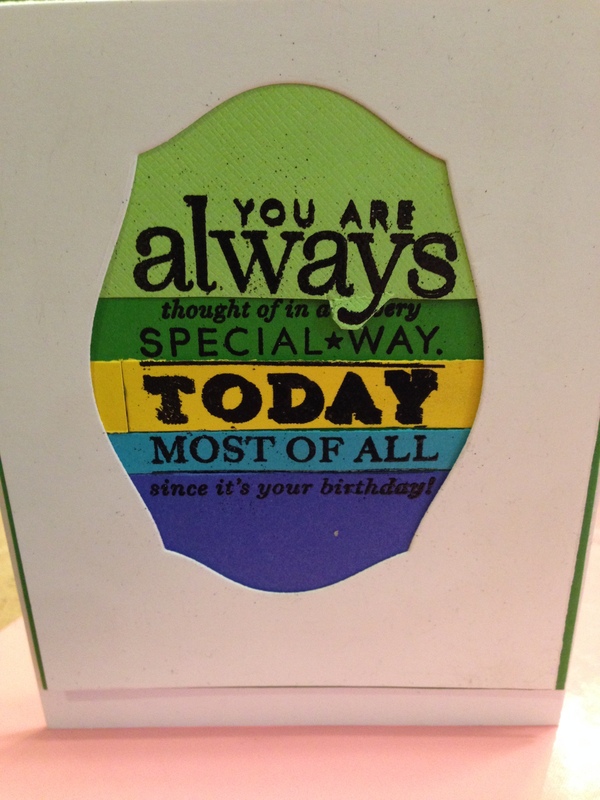 Papertrey Ink’s Day 3 challenge for their big 7th anniversary proceedings is to take 7 minutes to gather 7 things to use in a card you can make in 17 minutes. It was tough, and I had to “cheat” a little bit by not counting the different scraps of card I used. 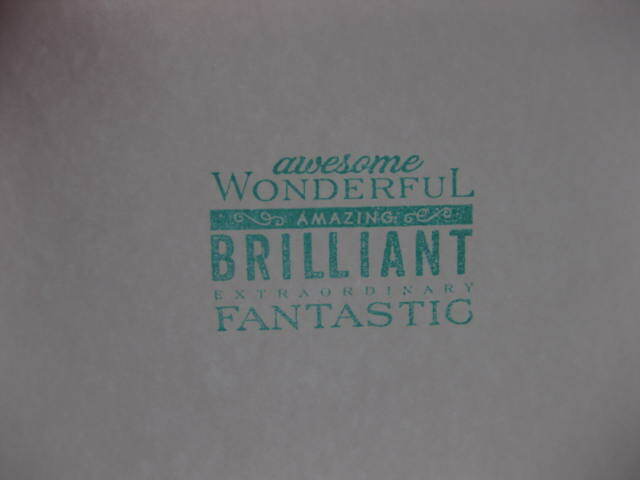 I did use 1)one Papertrey Ink stamp set- Stylish Sentiments, 2) Mat Stack 1 Layerz die, 3)VersaMark watermark ink pad, 4)Stampendous detail black embossing powder, 5) PTI White card for the front and card base, 6)green card stock (unknown) for the mat, and 7) various scraps of card stock for the layers I put together after I stamped and heat embossed the sentiment on each one! Not perfect, and I’m about to send it to my nephew for his 14th birthday, but done, and (mostly) within the parameters. New non-PTI stamps added. Mostly for grown-ups. I don’t RUN. And if you ever see me running, you should run too, because something is probably behind me. Once you lick the frosting off a cupcake it becomes a muffin..and muffins are healthy. You’re welcome. Coffee keeps me busy until it acceptable to drink wine. A friend talks to you about your problems. A true friend takes a look at you, sighs, then orders you a big drink without asking. I was reading an instruction manual, and I got to the part about needing a screwdriver..so I got out the vodka and orange juice. Anything after that is still a mystery! Whether you see your glass half-full or half-empty doesn’t matter. You did NOT pour enough wine in your glass. START OVER. I’ve lost my mind and I think the kids took it. A little girl seeks revenge. A real woman moves on while karma does her dirty work. Life is much funnier if you have a dirty mind. There are two types of people in the world:People you drink with and people who make you drink. I enjoy a glass of wine each night for it’s (sic) health benefits. The other glassed are for my witty comebacks and flawless dance moves. 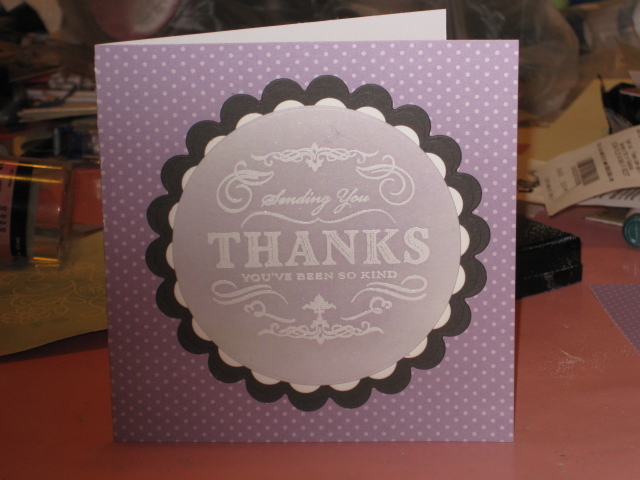 Let me know if there’s one of these you’d like to include in a card for your BFF who needs a laugh, or encouragement. IMG_1340, a photo by NorsePrincess on Flickr. February Papertrey Ink Blog Hop Challenge! 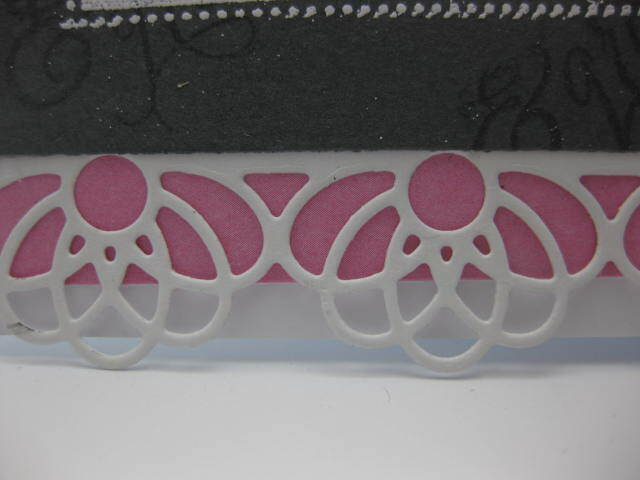 Well, my PTI stamps and dies finally arrived today, just in time for me to participate in the Blog Hop! 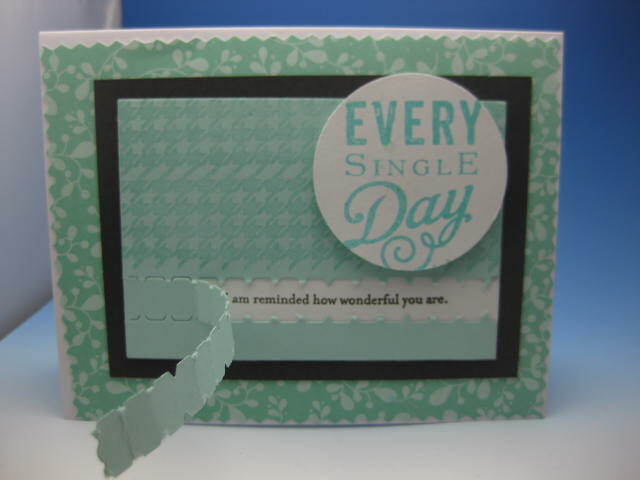 I am showing a card I made with their Movers and Shakers: Zippers die and the Movers and Shakers stamp set, along with paper and ink in Aqua Mist, Hawaiian Shores and Smokey Shadow. These dies are so awesome! I am going to have so much playing with them and creating some wonderful cards to give and sell! This shows a card I made featuring the requirements of two different challenges. The first is from the 5th Anniversary celebration for Papertrey, Ink. 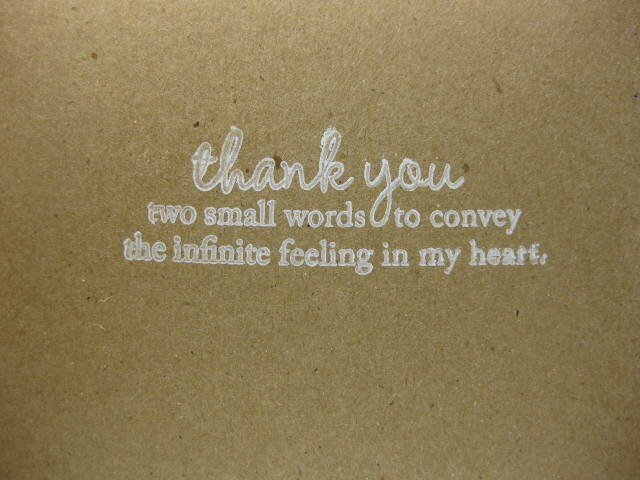 (Undoubtedly, one of my favorite companies for all things related to card-making. For their 4th day of countdown activities, they showed the Favorite color combinations of their design team. I picked Heather Nichol’s fave combo, featuring Spring Moss, Aqua Mist, Classic Kraft and Vintage Cream. 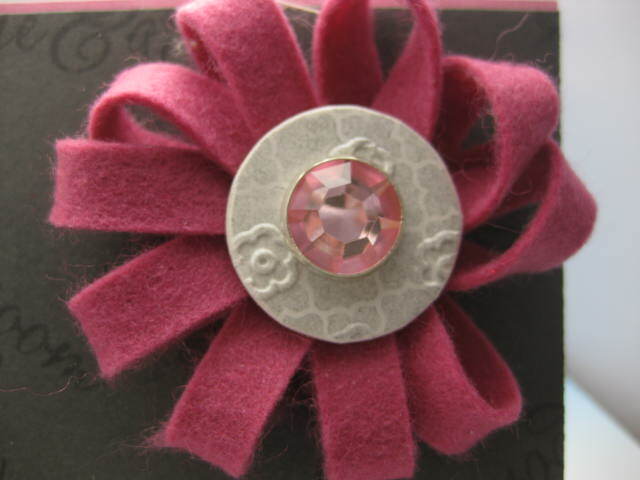 Additionally, I was inspired by the January 31st Tuesday Trigger from Cath Evaldson’s blog, Moxie Fab World. I really liked the stripes of color in this photo, not to mention the thought of yummy chocolate. ( sorry, I tried several times to include the photo of the Trigger here, but something wasn’t working for me. Please, go to the link to see it.) So, I put these together to come up with a card. The card features patterned paper from PTI’s Everyday Blessings pack, Vintage Cream and Aqua Mist cardstock, Mat Stack 1 die and Mat Stack 1 layerz die, Mat Stack 1 stamp set, Inside and Out: Thank you stamp set, Background Basics: Houndstooth stamp set, Script Sentiments stamp set and Hawaiian Shores Ink. 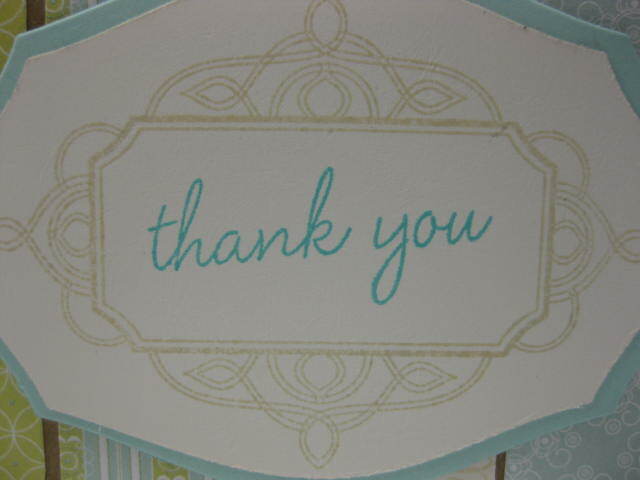 Additionally, I used Tim Holtz’s Distress Ink in Antique Linen and kraft cardstock from an unknown source. 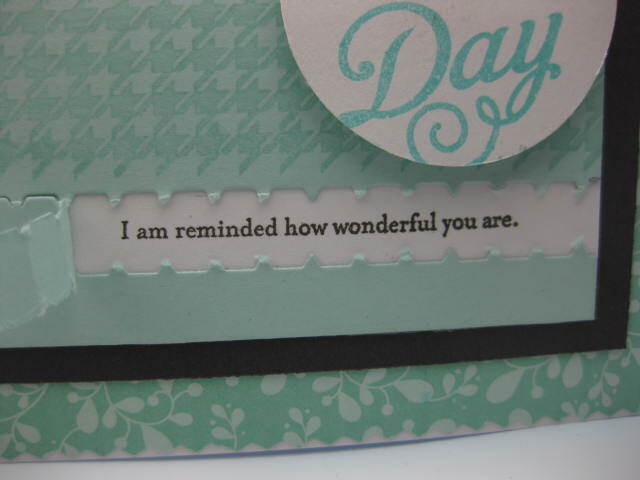 Above you see the front of the card, and I am showing a detail of the front sentiment and the inside sentiment below. Hope you enjoy it. Happy 2012! I know it’s been ages since I posted, but the holidays were busier than even I would have anticipated. Didn’t want to miss time with the kids, since I see them so rarely. And they just get smarter. 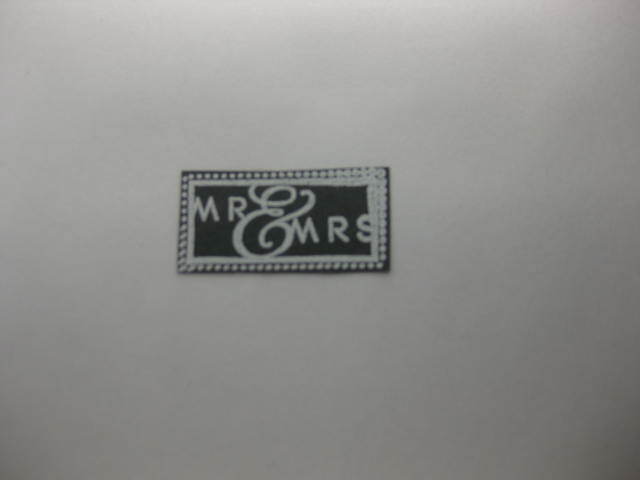 I even added the little Mr and Mrs embellishment onto the envelope, in front of where I will address it. 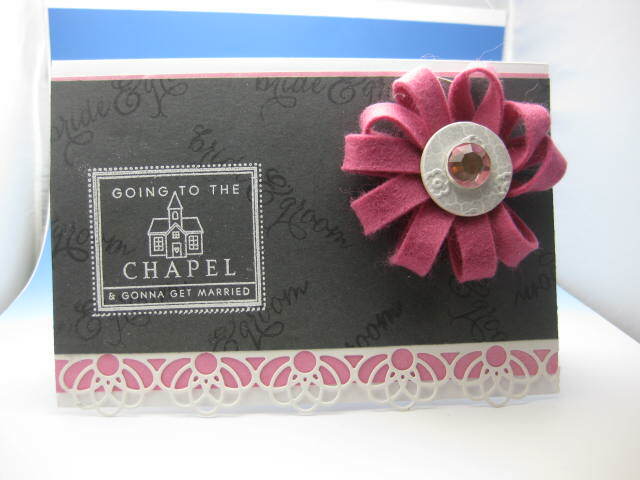 Autumn Rose felt, Loopsy Daisy die, Filigree border die, Love and Marriage stamp set, K&Co white card, Stampendous Ultra Detail white embossing powder, Tsukineko VersaMark ink, Savvy Stamps background stamp, CTMH Grey wool ink, CTMh pink paper, unknown grey paper and pink jewel brad.